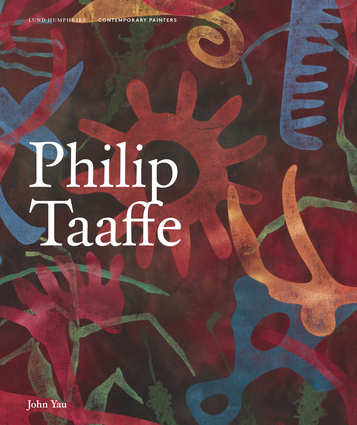 This book presents a comprehensive view of the work of American painter Philip Taaffe (b.1955), who has expanded the parameters of painting through his use of silkscreen, linocuts, collage, stencils, gouache, chine-collé, marbling, acrylic, enamel, watercolor, and gold leaf. Possessing many technical skills, Taaffe has moved decisively between unique pictorial inventions and repeated patterns and images, as well as overlaying divergent modes of representation, such as pattern and biomorphic abstraction. John Yau's insightful text is the first to look at every part of Taaffe's artistic development, from the works he made at Cooper Union, while a student of Hans Haacke, to the present. It pays special attention to Taaffe's acquisition of different techniques, as well as investigating his various sources of inspiration, which include the work of experimental filmmakers Maya Deren, Joseph Cornell, Stan Brakhage, Bruce Conner and Harry Smith, and the paintings of Swiss artist André Thomkins (1930-1985).